The advertisement for Joining Mujahid Force As Soldier has come on newspaper of 05 October 2018. Join Mujahid Force As Soldier and become success. The last date for Joining Mujahid Force As Soldier is 10 October 2018. The candidates who want to apply for Pakistan Army Jobs 2018, submit applications to Sialkot Cantonment. 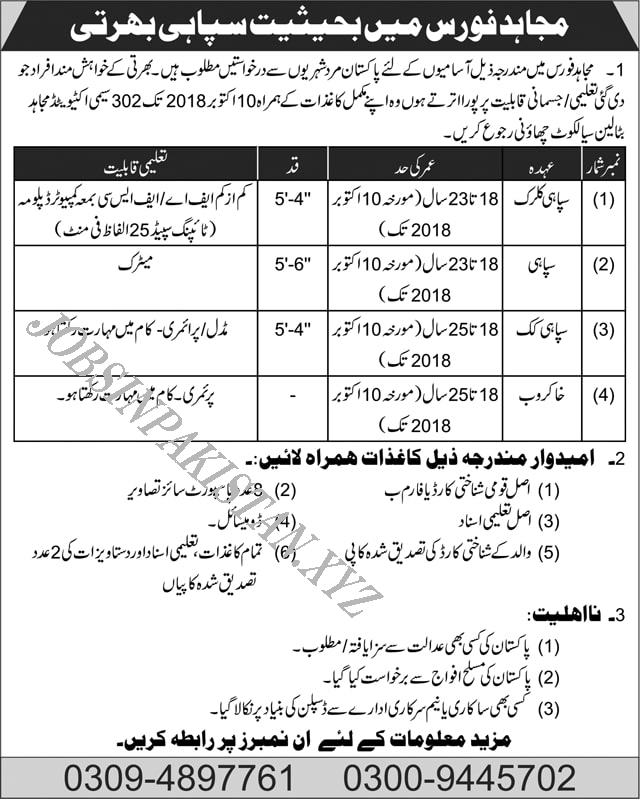 Mujahid Force Sialkot Cantonment requires the application for following jobs.